During the 2017 long session, the General Assembly unveiled House Bill 589, “Competitive Energy Solutions for NC.” The bill was crafted from nearly a year of intensive negotiations between competing interests in the energy sphere. Lawmakers sought input from a wide variety of stakeholders, including utility executives, solar companies, and environmental organizations. As the bill approached its final stages, however, lawmakers slammed the door shut on discussion. 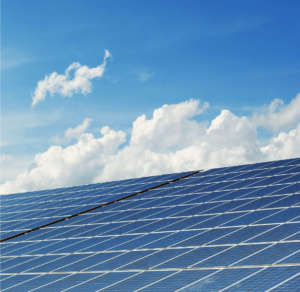 House Bill 589 was designed to boost North Carolina’s already thriving solar industry by implementing a competitive bidding process for solar developers and expanding rooftop solar initiatives. Yet what was originally strictly a solar measure quickly turned highly contentious after Senate Majority Leader Harry Brown inserted a provision to place an 18-month moratorium on wind energy projects across the state. Governor Cooper ultimately opted to sign the bill into law. However, in an attempt to alleviate the effects of the moratorium, he immediately signed Executive Order 11, requiring the Department of Environmental Quality (DEQ) to continue the permitting and application process for wind energy projects, so that wind facilities can be brought online as quickly as possible after the moratorium ends. The moratorium is set to expire at the end of 2018, yet unfortunately, there have already been indications that the General Assembly could move to extend it. Failure to Act on GenX? The legislative biennium coincided with one of North Carolina’s most pressing environmental emergencies in years: GenX. When the Wilmington StarNews first reported the toxic contamination of the Cape Fear River, North Carolinians were shocked, and wanted swift action. And how did the General Assembly respond? It didn’t. Legislators are still struggling to adequately address the growing threat of irreversible GenX damage. While documented GenX discharge into the Cape Fear watershed has occurred since the 1980s, scientists have since proven that GenX and related chemicals are not only toxic, but are also persistent in our environment, meaning they can contaminate water sources far from their initial point of entry and remain there for years. Despite being faced with a serious environmental and public health issue, legislators dealt our environment additional blows through rollbacks in environmental protections near the coast (see House Bill 56) and budget cuts to DEQ and the Department of Health and Human Services (DHHS). These unacceptable actions occurred while tens of thousands of North Carolinians continue to drink water contaminated with a chemical which has been shown to increase cancer risks, liver problems, and other health defects in lab animals. GenX’s long-term health effects in humans are currently unknown, but the National Institute for Public Health in the Netherlands analyzed the animal research on GenX, and concluded that categorizing GenX as a suspected human carcinogen is justified. These are real health problems affecting real people. Moreover, this crisis comes on the heels of nearly a decade of drastic cuts to DEQ and DHHS budgets. These cuts resulted in 70 lost jobs, in conjunction with ongoing and aggressive regulatory rollbacks, undermining our state agencies’ ability to test for these and other pollutants, and to enforce rules protecting us from them. As the legislature stalls, GenX continues to erode our quality of life. It’s not only present in our drinking water, but in our rain and in our wildlife. Similar contaminants are being identified in more places that will further stretch limited DEQ resources as the General Assembly fails in its responsibility to protect North Carolinians.